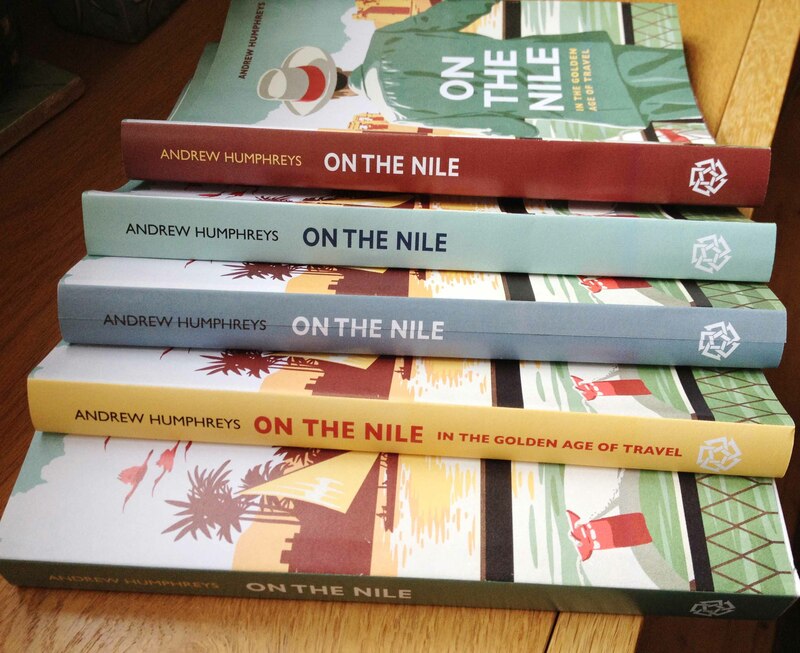 Back in July I posted about my new book, On the Nile (in the Golden Age of Travel) and accompanied it with snapshot of the book’s cover. Well that was just a working cover, a dummy. 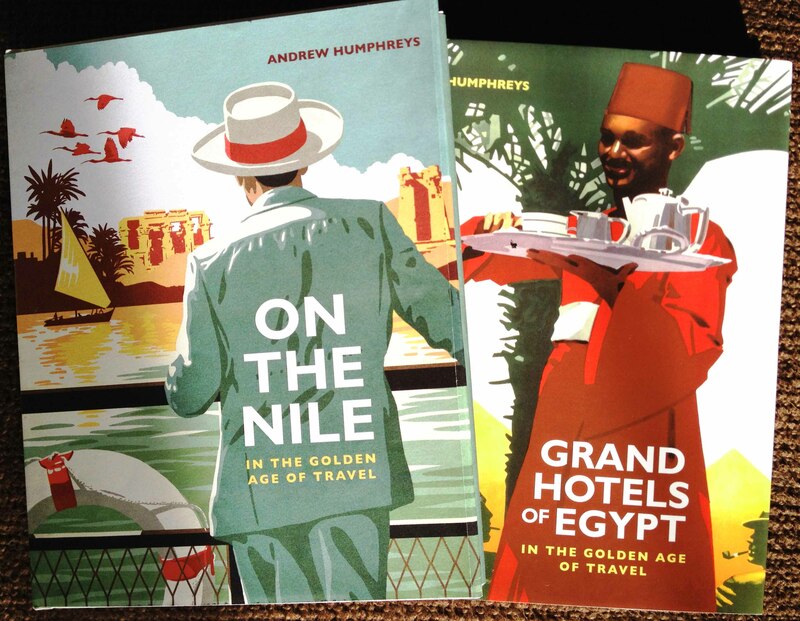 It was a very fine image but it was based on a poster that we had already included as a full page in Grand Hotels and we felt we’d be shortchanging readers if we were to run it again. 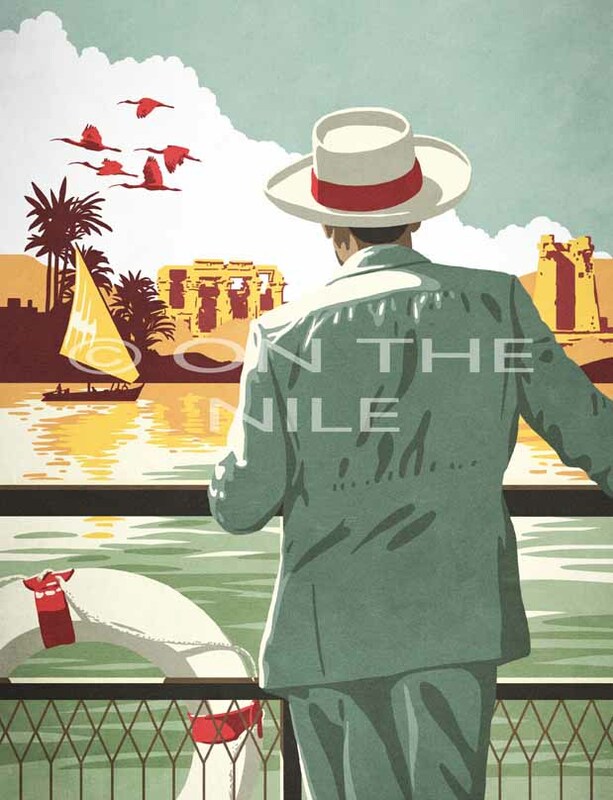 More significantly, it shows locals sailing in feluccas, whereas the book is all about foreign visitors cruising the Nile on steamers and dahabiyas, which is something entirely different. We (we being myself and the book’s designer, Gadi Farfour) were able to find several posters depicting steamers, but none of them quite worked as a cover. So we commissioned an illustrator to have a go at coming up with something suitable. He was Ross Murray, a talented Kiwi who does a lot of work for the magazine-publishing company where I’m editorial director. 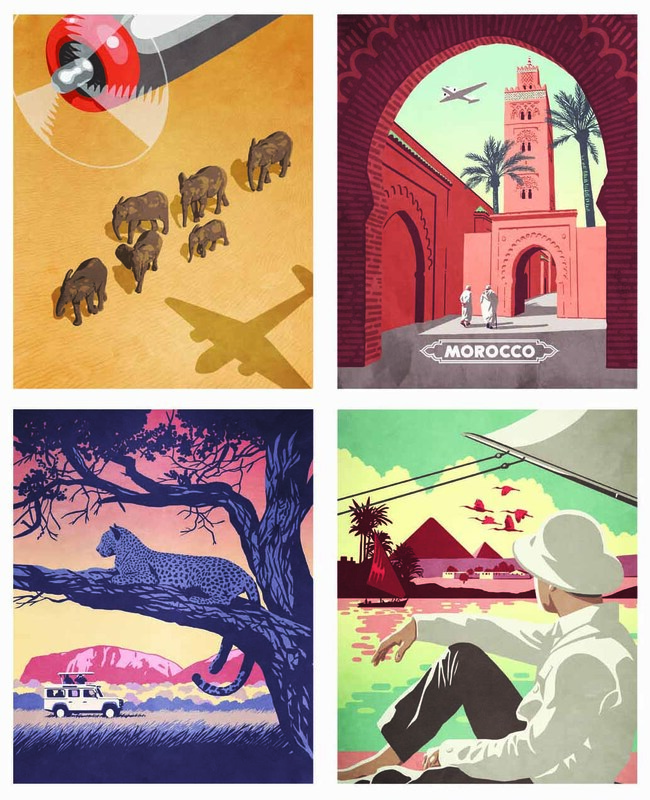 One of the things he did earlier this year was a set of four illustrations (below) for a story on the romance of travel. 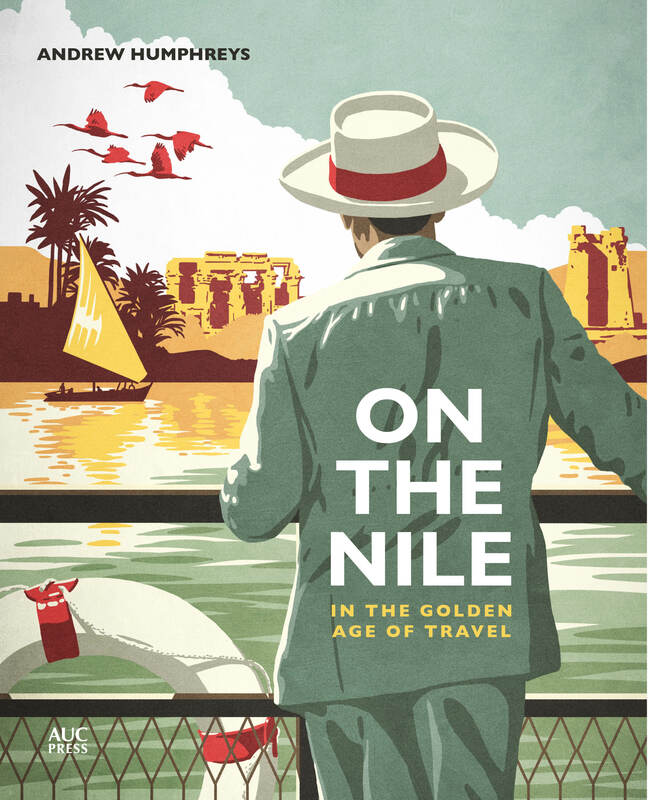 One of these, as you can see, depicted a Nile cruise and Gadi and I thought that with some tweaks it would make a perfect cover for our new book. 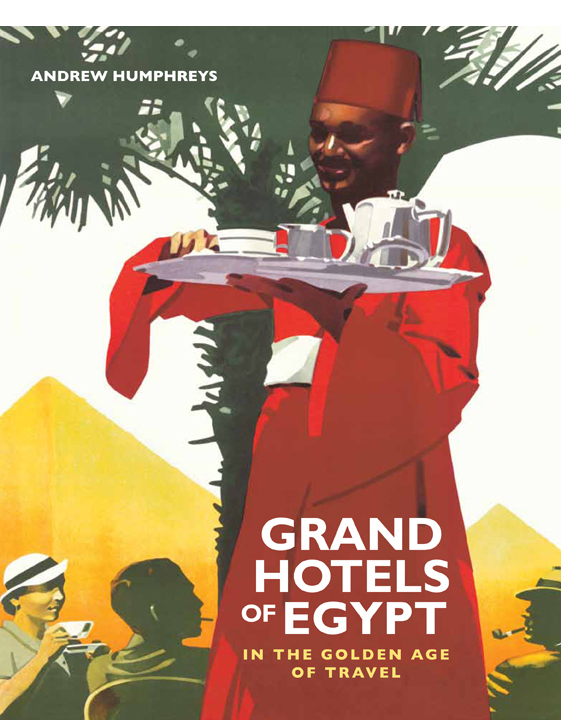 We sent Ross a photo of the cover of Grand Hotels and asked him to match the style, plus swap the sail for a steamer’s rail and replace the Pyramids (which feature on Grand Hotels) for a temple. This he did, along with plenty of changes of his own, and the resulting image is amazing. I’m sure that anybody who didn’t know otherwise would assume the finished work is an original vintage poster. The two books look fantastic together. 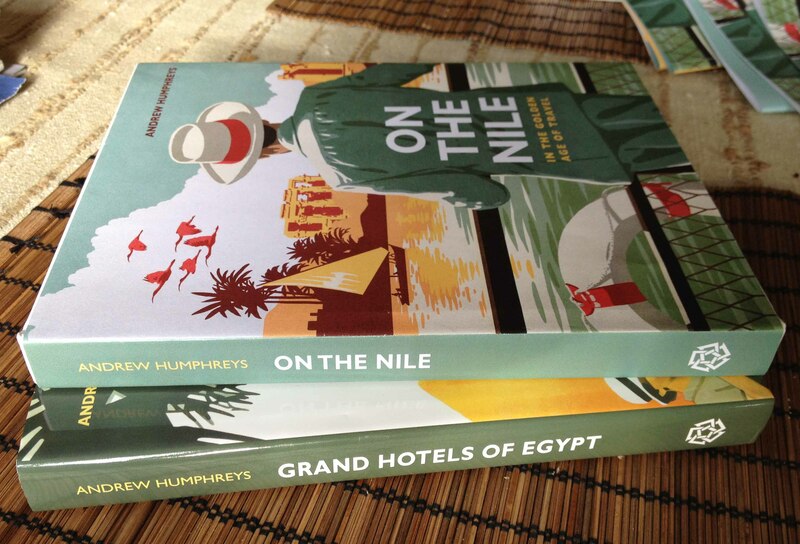 Right now we’re playing around choosing the correct colour for the spine, back cover and flaps. These are the absolute final stages in the preparation of the book and it will be going off to print (in China) in about four weeks time. 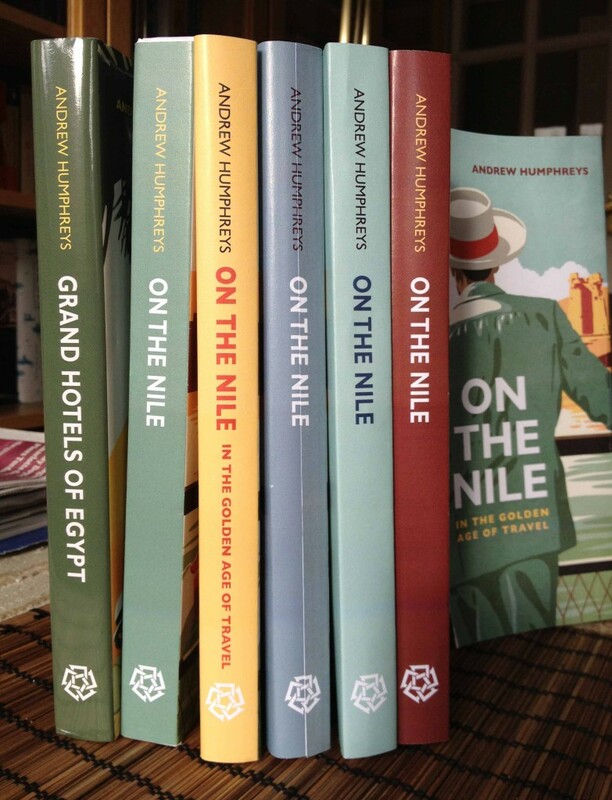 The publication date is now next March. I can’t wait. I recently saw the item above for sale. 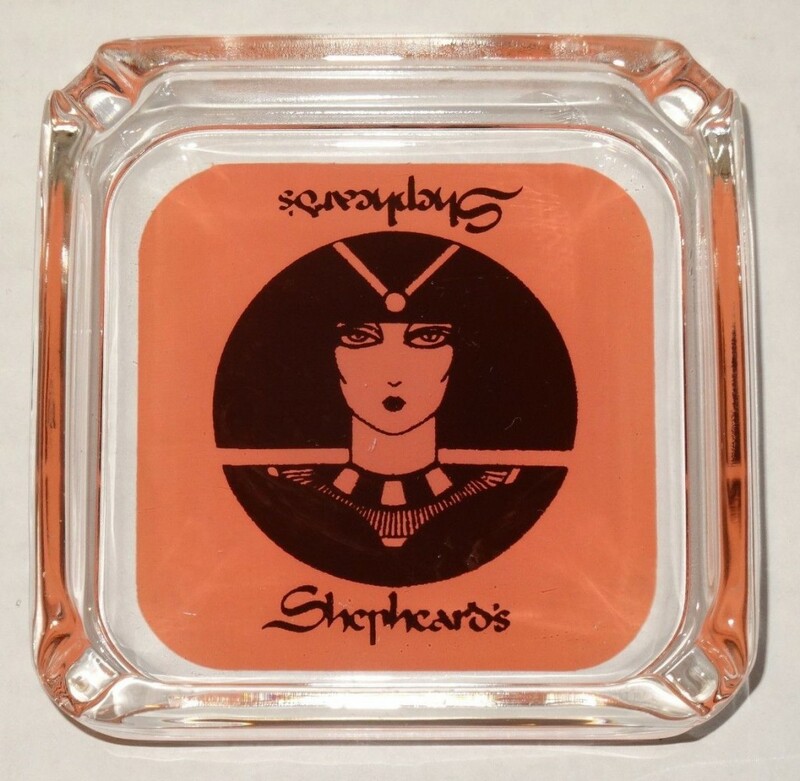 It’s a Shepheard’s ashtray but I’d never seen the design before. And even though it’s in an art deco style there’s also something quite modern about it. It’s a bit Sixties-ish. And so it turns out to be. After a bit of research it turns out that it is nothing to do with Cairo’s famed Shepheard’s hotel, either the original, which burned down in 1952, or the 1957 rebuild, but comes from Shepheard’s nightclub, which was part of the Drake hotel in New York. 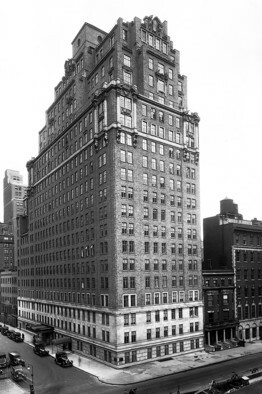 The Drake was one of New York’s grand old hotels, opened in 1926 on 21 floors. In the early 1960s, the hotel was acquired by entrepreneur William Zeckendorf, who added New York’s first ‘discotheque’, which he called Shepheard’s. Why Shepheard’s? Who knows, but it was obviously in homage to the Cairo hotel of that name because the interior was Egyptian themed; if you look at the cigarette ad below (click to enlarge), which depicts a scene at Shepheard’s disco, you can see the Mamluk-styled striped stonework through the doorway and a giant pharaonic head. According to a former manager of Drake’s, writing on the ‘Most Famous Hotels’ website, Shepheard’s was the hottest nightspot in Manhattan. It was open seven days a week for cocktails, dinner and supper with continuous dancing until 3am. 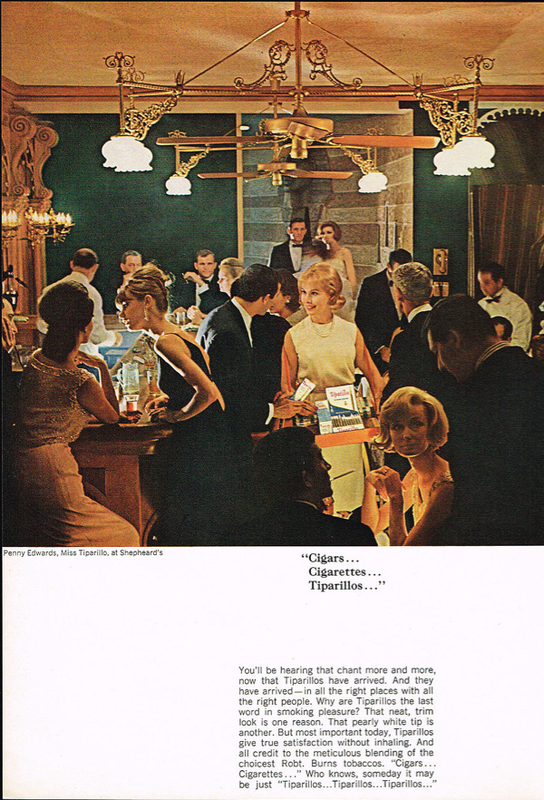 The hotel printed a card entitled, ‘How to Do the Newest Discotheque Dances at Shepheard’s in New York’s Drake Hotel’ with step-by-step instructions to dance the Jerk, Watusi, Frug and the Monkey. Patrons apparently lined up on 56th Street and around the corner on Park Avenue. Maybe so, but it still doesn’t sound half as fun as the Cairo Shepheard’s in its 1920s heyday. I don’t know how long the nightclub Shepheard’s lasted but the Drake hotel was demolished in 2007 and the site redeveloped as 432 Park Avenue, which is currently the tallest residential building in the Western Hemisphere.